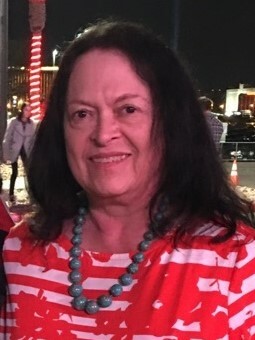 Adrienne M. Cronshaw, of Conway, previously of Las Vegas, Nevada passed away peacefully in Conway Regional Medical Center on September 29, 2018, at the age of 71. Adrienne was born on July 26, 1947, in Los Angeles, California to Milton and Minnie Ruth Lester. She worked as an Administrative Assistant at Clark County Government Center in Las Vegas, Nevada. She also owned her own business making gift baskets and enjoyed making and selling jewelry. She was warm-hearted, full of love, generosity, kindness, and compassion. She was always willing to give a helping hand. She was a Christian and a member of Central Baptist Church in Conway. She is survived by her husband of forty-seven years, Jack Cronshaw of the home; two twin sons, Stacy and Jerrod Cronshaw both of Las Vegas; A grandson, Christian Cronshaw of Las Vegas, two sisters, Patricia Hamel of Riverside, California; Brenda Kaplan of Rancho Mirage, California. The family will host a private memorial at a later date.